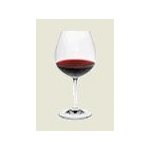 Stemware & Stemless Glasses from a variety of manufacturers. Crystal & Glass wine decanters. 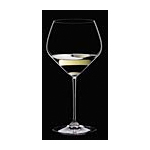 Single, 750mL, and Magnum size.Among our featured suppliers: Riedel, Eisch, and Spiegelau. Crystal & Glass wine decanters. Single, 750mL, and Magnum size. Variety of different manufacturers. Some with stands, stoppers, aerators, handles, pewter or metal details. 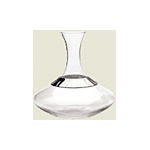 Check out our dripless series of wine decanters by Eisch. Zalto is largely recognized in Europe by wine professionals and journalists. The Zalto wine glasses are from a boutique factory in Austria. They have been recognized and praised by many critics including American, Robert Parker, the world's most influential wine critic, as well as the L.A. Times, Wall Street Journal, and Bon Appetit. 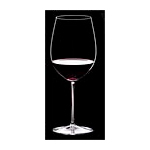 Zalto universal wine tasting glasses are dishwasher safe. Riedel Vinum line of machine made crystal wine glasses. Riedel's most popular line of stemware! 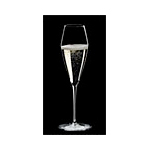 Riedel O glasses are stemless NON LEAD Crystal. 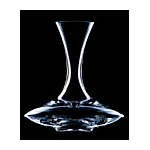 Riedel Vitis line are crystal glasses made with a pulled stem made from one piece of glass. 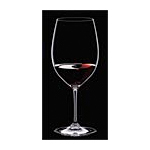 Riedel Vinum Extreme for the wine lover with extreme tastes! 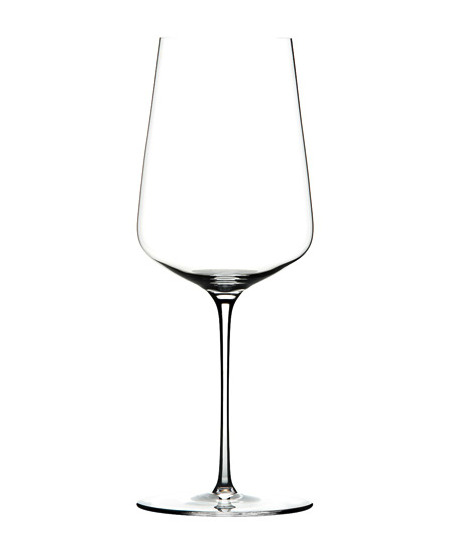 The newest stemware line from Riedel combines a dazzling oversized bowl with a unique angular look and an extra-tall stem to create a wine glass that is as elegant on the table as it is to drink your prized vintages from. Vinum Extreme is made of 24% lead crystal and is designed in the incomparable Riedel style, to emphasize and enhance the flavors of every wine you drink. 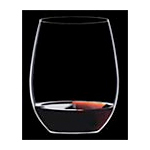 Riedel O Series stemless crystal wine glasses are available for shipping throughout the USA and Canada. Riedel Sommeliers are the top glasses for Riedel. Hand Blown Crystal allows for an enhanced wine experience. Sommeliers is now the wineglass benchmark and most noteworthy series of hand-made glassware in the world. Each glass is individually made: the upper parts blown into a mould, the stem and base hand-crafted using methods developed centuries ago. The finest in wine glasses from Spiegelau. A crystal glass is a must when setting out to enjoy your Bordeaux, Chardonnay, Burgundy, Champagne. Remember your choice in the glass design should suit the wine you are enjoying. Wine glasses specifically designed for tasting. Designed to maximize the taste of all varietels. These plastic wine glasses are made to reflect the wine's color and aromatics much like crystal but without the fragility. Perfect for outdoor entertaining, cottages, picnics or for everyday use at home. Wine cleaning utensils. Decanter brushes, wine glass brushes, cleaning balls. We have a variety of decanter stands in nickel, stainless steel and wood with cast iron. There is also a wine glass drying tree. Parts taken from Canadian House & Home Magazine. Crystal was first developed in England in the 17th century, but over the years France, Ireland, Austria, the Czech Republic, the Netherlands and Spain have become respected crystal producers. The intricate engravings and graceful patterns that distinguish crystal are made possible by the addition of lead oxide to the glass making process. Lead makes glass soft enough to cut, enhances sparkle and gives crystal its trademark weight and ring when tapped. Bubbles or "seeds". Small bubbles in crystal - usually formed during the melting process - can indicate that the crystal has been handcrafted and is, therefore, higher in quality. Vertical seams. Sometimes hard to spot, seams identify pressed glass, which has been made in a mould. The artist or manufacturer's name. Contemporary crystalware that has been hand cut often has a signature or brand name etched into the bottom of the piece. Wash in warm water using a mild soap and dry with a lint-free cloth. Do not wash crystal in a dishwasher as heat and abrasive cleaners can turn crystal cloudy. To remove foggy buildup, mix ½ cup of uncooked rice with warm soapy water and two tablespoons of white vinegar. Swirl it around the decanter or glass for a few minutes before rinsing with warm water. For stubborn stains, fill the container with warm water, drop in a denture-cleaning tablet and let it sit until the stain disappears. To clean a chandelier, mix one part rubbing alcohol and three-parts distilled water in a spray bottle. Wearing white cotton gloves, spirits one hand with the solution, wipe the crystals and then polish them with the dry glove. Decanter cleaning balls also work very well. Click here to see Rosehill's selection of Cleaning Utensils. Most crystal manufacturers and jewelry stored can fix a small chip in the top of stemware by grinding the piece down below the nick. The fixed item, however, will always be shorter. To help prevent chipping, store stemware upright. Do not store food or drink in crystalware. 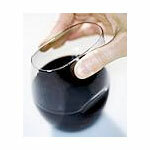 Soak new crystalware in vinegar for 24 hours and rinse thoroughly before using. Cut glass requires the most skill to produce, as the glass is first blown into a shape (either with or without a wood or cast-iron mould) and then cooled before being hand-cut or etched using a variety of tools to create the desired design. Pressed glass is made by pouring molten glass into moulds that are later conjoined to create a single glass, vase or bowl. While the pattern in cut glass is created by hand after the crystal has cooled, the pattern in pressed glass is stamped into the moulds themselves. Common in Ireland and North America, wheel engraving uses a small amount of fluid to move a wheel across crystal to carve a pattern. A meticulous skill, wheel engraving generally takes years to master. The most common modern method, this involves using a diamond-tipped tool to carve a pattern in crystal. In addition to being strong and sharp, diamond doesn't leave and deposits on the crystal. With this method, designs are carved with a sharp metal tool; then the crystal is doused with acid to etch the design. 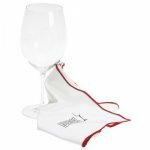 A gift of crystal stemware, wine glass or a decanter makes a great corporate, bridal and wine lover gift! OR give a GIFT CERTIFICATE if you can't make up your mind. The more you order, the more you save on delivery! Check out our delivery price for multiple items! Please note we have shipping minimums in place so while the initial delivery cost may seem high for the small cost for an inexpensive accessory , the more accessories you add delivery cost doesn't change by much! Please also keep in mind that as crystal is fragile, we need to ensure our product is extremely well packaged, this adds to the delivery cost. 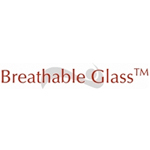 Wine glasses, crystal & decanters are available for shipping throughout the USA and Canada.